ffalo, lamb meal, chicken meal, sweet potatoes, peas, potatoes, chicken fat (preserved with mixed tocopherols), egg product, roasted bison, roasted venison, beef, natural flavor, tomato pomace, potato protein, pea protein, ocean fish meal, salt, choline chloride, taurine, dried chicory root, tomatoes, blueberries, raspberries, yucca schidigera extract, dried Lactobacillus plantarum fermentation product, dried Bacillus subtilis fermentation product, dried Lactobacillus acidophilus fermentation product, dried Enterococcus faecium fermentation product, dried Bifidobacterium animalis fermentation product, vitamin E supplement, iron proteinate, zinc proteinate, copper proteinate, ferrous sulfate, zinc sulfate, copper sulfate, potassium iodide, thiamine mononitrate (vitamin B1), manganese proteinate, manganous oxide, ascorbic acid, vitamin A supplement, biotin, niacin, calcium pantothenate, manganese sulfate, sodium selenite, pyridoxine hydrochloride (vitamin B6), vitamin B12 supplement, riboflavin (vitamin B2), vitamin D supplement, folic acid. 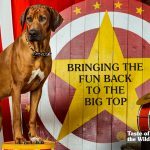 Taste of the Wild High Prairie Canine Recipe is formulated to meet the nutritional levels established by the AAFCO Dog Food Nutrient Profiles for maintenance. High Prairie Canine® Formula with Roasted Bison & Roasted Venison is rated 4.9 out of 5 by 196. Rated 5 out of 5 by Bridogmt from Have 3 high energy dogs who thrive on this Have 2 German Shorthair Pointers and an all American mutt who eaten this for 6 years now. Constantly on go hunting, camping off leash running. Have never had any digestive problems with any of them. The GSPs during hunting season put in long days in all kinds of weather and their energy level is great. Our mixed breed runs 4-5 miles daily with my wife and keeps up great During the Montana winter when they don't get as much activity I know this high quality food contributes to keeping their weight stable. Highly recommend if you have sporting dogs or active lifestyle. Rated 5 out of 5 by Regan from Teddy Tested & Approved!!! I have such a picky dog. I got him from a rescue over 5 years ago and brought home several high quality options for him. Teddy is an obstinant Lhasa and went on hunger strike until appropriate provisions were secured for him. He approves this formula and the Wetlands. Even when I home cook for him, he appears to consider that a nice snack and heads to his bowl for his real meal. Additionally, upon switching I noticed that within a few weeks his skin issues cleared up as well as his gastro intestinal problems. I am quite pleased. Thank you for making such a great product. Rated 5 out of 5 by Cindy from My Dogs LOVE the High Prairie Formula ! I started buying this product many years ago and my dogs ALL absolutely love it ! All of them have lived to be between 14 and 19 years old ! Through all the years of buying this product NOT ONE RECALL or the dreaded reports of any illness or deaths from this product, while I watched brand after brand of others get recalled. There are no grains and my dogs are all energetic, at a great weight and their coats are shining. I would NEVER use any other dry dog food because I love my dogs. To me they are family members! Rated 2 out of 5 by KimT from Something has changed in your food Hello. I have had both my dogs on this food since they were born and they were fed this at the breeder. My older dog is suddenly experiencing symptoms of irritable bowl disease with vomiting and diarrhea coming out of no where that takes weeks to get better. She has been tested two and three times for everything under the sun. I feel like you guys have changed ingredients in your food within the last year and it is causing issues with her now. She doesn't "get into" stuff … no table scraps and her "cookies" are simply dog food kibbles. Have you changed the recipe on your foods? It seems that others have noticed a change as well based on reviews of other flavors. Rated 5 out of 5 by earthdog50 from Trusted Brand As a show/breeder of Jack Russell terriers, it was important for me to find a high quality dry dog food that would work for my terriers. I have been feeding Taste of the Wild High Prairie for years and my dogs thrive on it. It’s a well balanced food, I love the fact that purified water is used and taurine is added. Hard to find a brand that hasn’t been recalled at some time, but TOTW is one of the few. I recommend it to all our puppy buyers and put a bag of the puppy version in all our puppy packages. Rated 5 out of 5 by Let food be thy medicine from My Lab Retriever loves it! My Lab Retriever became less interested on the garbage... I mean "science diet" food that was "specifically" for certain dog breeds (ex. Labs, German Shepard , golden retrievers etc). We had to mix in treats for him to eat. I researched and found out that ingredients make a HUGE difference. Just like we are meant to be vegans , dogs are meant to have a taste of the wild. So I decided to give my dog a taste of the wild and.... He loved it! So now he loves eating! And is healthy , happy and looks great! So thanks for the quality ingredients. The only thing is, I'd love to see a little less carb sources but still all GREAT choice of food for the price! Rated 5 out of 5 by Jennafuzz from Great Food for a Great Price! We have been feeding our dogs Taste of the Wild dog food for years! We began trying TOTW when we discovered that our puggle had severe food allergies. Taste of the Wild was the first food we found that not only didn't cause an allergic reaction, but that she also loved eating. 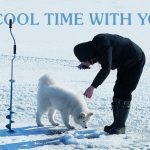 Feeding our dogs Taste of the Wild has been an amazing experience and we recommend it to anyone we meet who has a dog, especially if their dog has gluten allergies like our dog does. Our dogs favorite flavors are the High Prarie, Pacific Salmon, and Southwest Canyon. We rotate between those flavors, or mix them together to give our dogs some variety. Rated 5 out of 5 by TheWizardofWY from All 3 dogs chose High prairie I have been feeding my 3 dogs a Venison based product for years. I saw this and decided to try. Over three months I gave all 3 dogs a choice. High Prairie vs their original. They chose High Prairie 100% of the time. Macro ingredient levels of this product exceed that of their previous food as well as many others. What is the calcium and phosphorus dosage per cup? Tine, the amount of calcium is 2.1% and phosphorous is 1.4%, as fed, in High Prairie Canine. This would be 2.07 grams of calcium and 1.41 grams phosphorus per cup of food. Hello, Sally and thanks for your question! Each pound contains approximately four cups of food. Hello and thanks for reaching out. As you saw, the FDA is investigating a previously unknown but potential link between a condition called DCM, or dilated cardiomyopathy, and dog foods containing peas and potatoes as main ingredients (primarily grain-free). Because taurine deficiency can be associated with DCM, a possible link between diet and the diagnosis is being explored. Taurine has not been recognized as an essential ingredient in dog food. 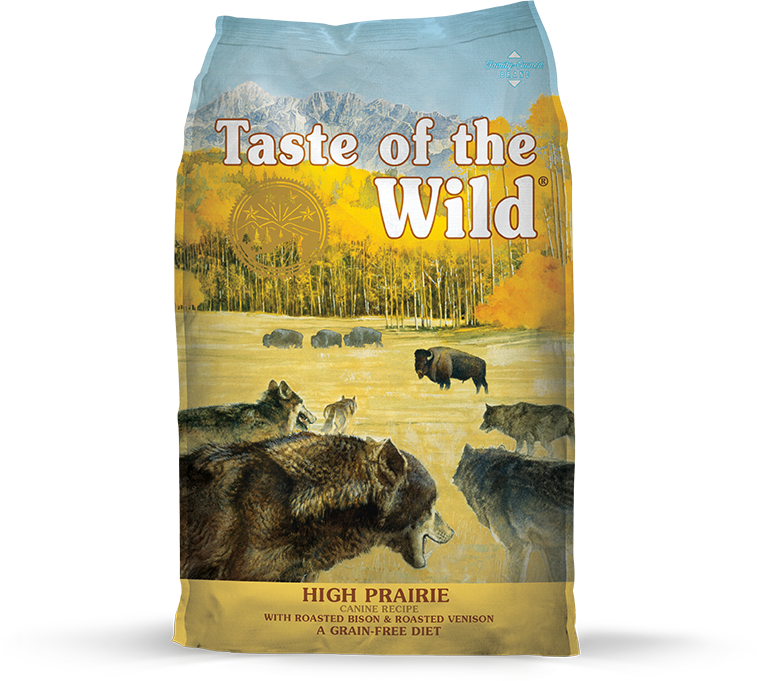 All formulas produced by Taste of the Wild, including High Prairie Canine, are supplemented with taurine. Please know, we select all of our ingredients with the health and well-being of pets in mind, so peas and potatoes are included as they are a great source of protein, fiber and antioxidants. Our priority is to provide all pets with quality, safe food that meets all federal and state regulatory guidelines. 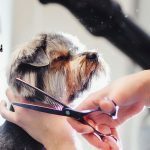 We want to assure you that our #1 priority is the health and safety of all pets. A member of our veterinary team would be more than happy to help answer any additional questions you might have. Please give us a call at 1-800-342-4808 (8 a.m. - 5 p.m. CT weekdays). Does all of you dry dog food products have Chicory in them? Hi Pearl, thanks for your question! Dried chicory root is included in all of our dry formulas as a source of prebiotic fiber. Prebiotic fiber helps support a healthy digestive system. We have a German Shepherd. I was wondering if any of the dry dog foods have GLUCOSAMINE AND CHONDRONITIN formulated for the larger breeds? Hello - our recipes do include naturally occurring glucosamine and chondroitin, however, we do not measure the amount. If you have additional questions about our recipes, please contact us by visiting our website https://www.tasteofthewildpetfood.com/contact-us/. Hello, thanks for reaching out. There is not a recall on any of our grain-free Taste of the Wild formulas. If you have any further questions, please give us a call at 1-800-342-4808.
which product would be best for Boxers? they have sensitive digestive systems and don't do well with fillers. Hello, generally a formula with limited protein sources, like our Pacific Stream Canine Formula or Sierra Mountain Canine Formula is recommended for dogs with sensitivities. If you&rsquo;d like, please feel free to give one of our product specialists a call at&nbsp;1-800-342-4808&nbsp;or email us by visiting&nbsp;https://www.tasteofthewildpetfood.com/#contact-us to help find the best formula for your dog. My cats have taken to eating my dog's High Prairie, is this a problem? Their regular formula is the Venison and Salmon, but it'd be convenient to switch to High Prairie for all of my animals. Hello, we find many cats love our dog food and vise versa. While an occasional bite of dog food will not hurt your cat, feeding it regularly can be quite detrimental to your cat&rsquo;s health. This is because dogs and cats do not have the same requirements for nutrients like protein and amino acids. More importantly, taurine supplementation is essential for cats, but not required for dogs, therefore our dog formulas do not contain an adequate amount taurine for your cat. Because of this, we recommend you only feed a cat formula to your cat. If you have any additional questions, please give us a call at 1-800-342-4808.